Switzerland is a very well-known market for private banking, less so for transactional work. Banque Profil de Gestion (BPDG) aims to change that. 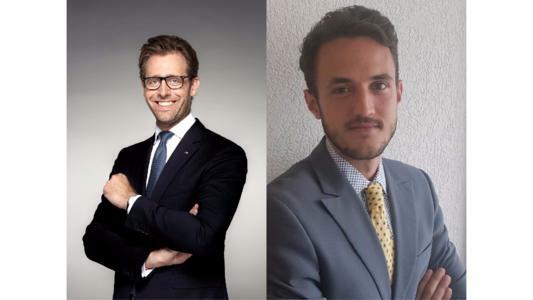 Head of Advisory M&A, Pierre-André Montjovet, and Associate Director, Fiorenzo Manganiello, discuss their positioning in the Swiss market and give us the lowdown on this new venture. Leaders League. What reasons prompted the creation of the Advisory M&A team within BPDG? Pierre-André Montjovet and Fiorenzo Manganiello. We wanted to combine our financial expertises in mergers & acquisitions and corporate advisory. Since 2012, I had worked in M&A on my own independent boutique. When we met with Fiorenzo in 2014, we wanted to develop an activity oriented toward solutions for entrepreneurs, to fill the void left by more traditional banks in Geneva. At that time, there were almost no structured teams working on €10 to €100 million fund raising. It was an untapped niche in the market. There was an opportunity and we saw the potential of combining our operational and corporate finance knowledge. We also had a profound know-how of industrial issues. Switzerland is a renowned market for wealth management, less so for transactional banking. Why did you choose such a special positioning in the Swiss market? Switzerland handles more than a quarter of the world’s wealth and therefore represents an economic center. We believe it provides an ideal platform to build something in investment banking. The larger banks have constraints and do not necessarily have solutions for entrepreneurs. Indeed, a lot of private banks picture investment banking as a risk they are not willing to take. In the small cap market, there is truly a lack of professionalism and a prevalent need for structuring and execution. The Swiss market consists of smaller transactions and less transactions per year than other neighboring markets such as Germany or France. The market is composed of many family-type SMEs. To sum things up, the Swiss market has a great deal of investment money available but still lacks maturity. That is where Banque Profil de Gestion comes in. What are the specificities of being an investment bank within a private bank? However, there are considerably more advantages than disadvantages. For example, it is an amazing marketing tool to be in a position to say “we are a Swiss bank,” listed on the SIX Swiss Exchange, and can therefore ensure the confidentiality conforming to the Swiss reputation. It reassures our clients and opens up a field of new possibilities, notably for certain clients abroad. We also benefit from the internal resources of the bank, for the clients and their networks. And it does open doors, more generally speaking, since we also have the wherewithal to obtain first-time meetings. We also have the flexibility of being a small team – 5 from the beginning of October. We want to remain independent. On what type of transactions do you intervene in? Our activities are divided between fund raising and private equity direct investments, which accounts for the 80% and the remaining 20% is M&A for nonlisted companies. We figure out what work to take on by adopting an entrepreneur-centric approach, with an active involvement and alignment of interests. We apply our expertise to the complete operational and financial aspects of transactions. We also pay particular attention to innovation within our work. We bring innovation to the process by implementing quantitative IT tools, such as automated valuation. Working capital financing is one of our specialties. I guess this is related to the private banking origin of our bank, and the profile of the clients the bank has. Those clients have cash flow and can work for a determined length of time with fixed rates in order to generate fix income. In line with this, we’ve struck a deal in Asia, a distribution financing deal at a balanced rate. For SMEs, we are able to provide tools that big structures have but do not necessarily think of using. That is, for example, the case with securitization. Private debt helps finance working capital, it is a real lever. What we like doing at Banque Profil de Gestion is peer-topeer. In other words, we adopt an entrepreneur to entrepreneur approach. This is a strong differentiation marker. How do you make the most of this peer-to-peer approach you mentioned? On the buyer’s side, we have inquiries from investors clubs; we can also rely on anchor investors that are able to crystallize all other investors. In other words, the anchor investor subsidizes part of the ticket. It is a point of entry that allows us finishing the syndication. What type of firms do you advise? We aim to be the tool box of entrepreneurs. To us, the ideal entrepreneur would be one willing to expand – whether internationally or in order to buy new machines for example. This ideal entrepreneur would therefore be looking for new opportunities and new investors. They are generally in an advanced maturity phase, generating a positive EBITDA (gross operating profit). In other words, they have a positive operational cash flow and have no debts. Those firms usually have a euro valuation of between 150 and 200 million. As for the sectors we intervene in, we deal with the real economy, everything related to the retail, clothing, luxury, finance and energy industries. One thing that is working quite well at the moment is the financing of transactions: trade finance, commodities and working capital. On the geographical level, we definitely focus on Western Europe. We have also had some developments in central Europe and sub-Saharan Africa, led by our clients. Our work – our know-how really – consists of pitching deals to the right people who can then make those deals on behalf of our clients. Whenever the transaction is handled by someone with a good understanding of the industrial, economic and social context – and the impact of a given deal – it definitely helps out and open the address book.